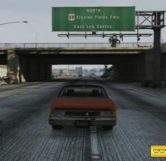 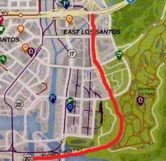 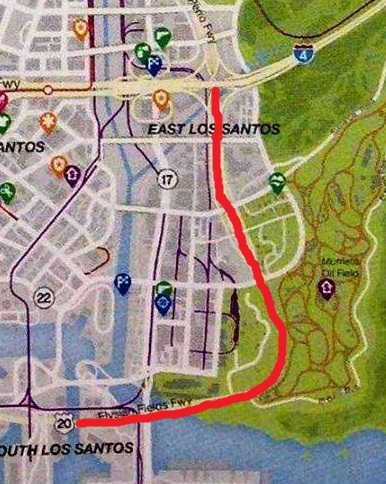 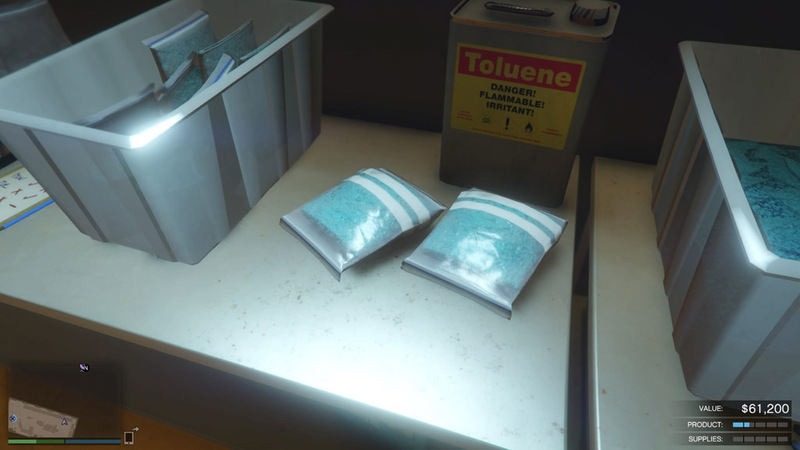 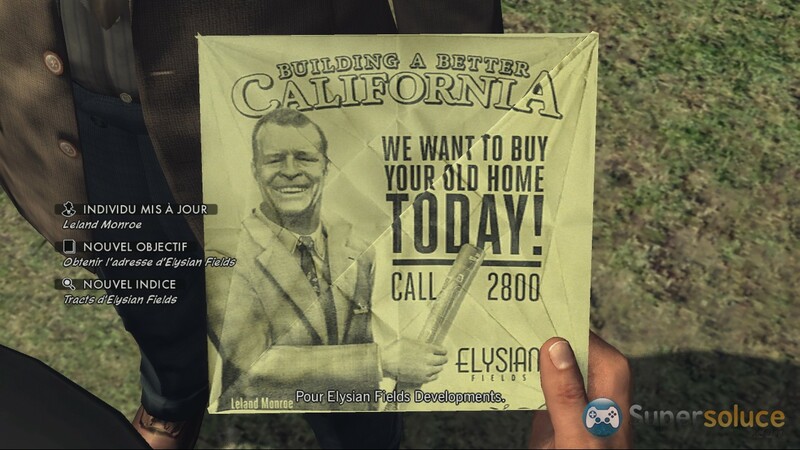 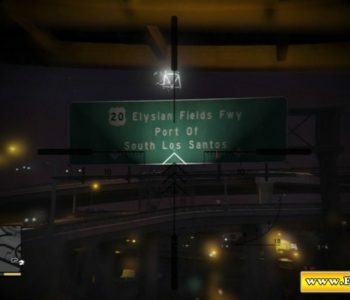 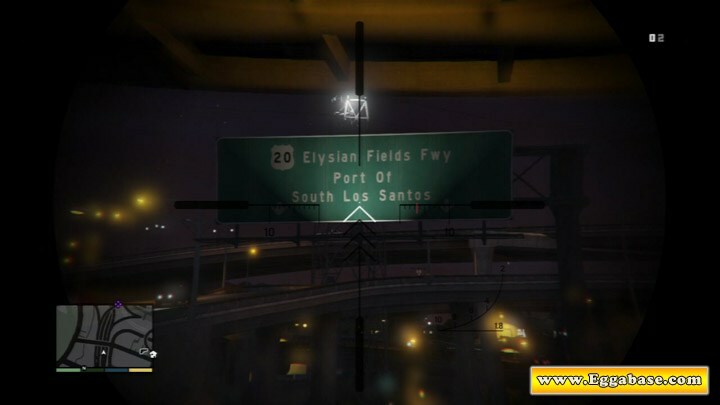 Located in East Los Santos, San Andreas and labeled Route 20, the Elysian Fields Freeway is a reference to the Elysian Fields Development company in L.A. Noire, a detective game also developed by Rockstar. 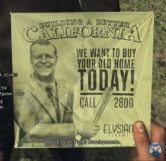 Founded by Leland Monroe, the Elysian Fields Development company was created as a scam to extort millions from the government by building a freeway and constructing cheap, unsafe houses along the freeway to falsely inflate the lands value. 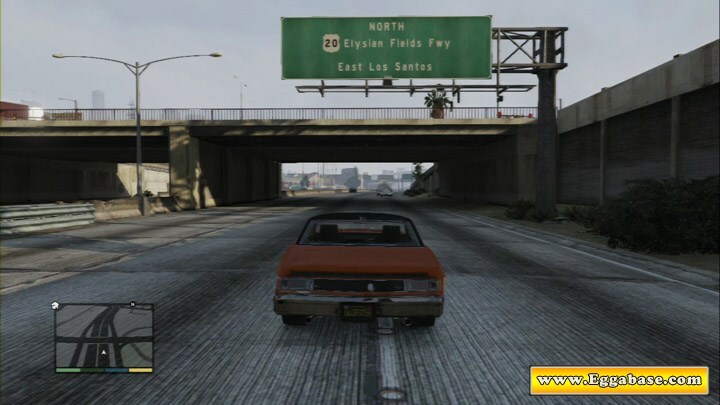 The plan was to have the government buy the land and freeway then Monroe and the other investors would have profited from the scam and left the government with the deteriorating land value and safety hazards. 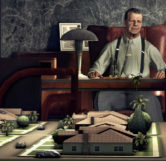 Though most of Monroe’s plans were going smoothly, a few families refused to sell their properties to make way for construction, so Monroe had the houses burned down. 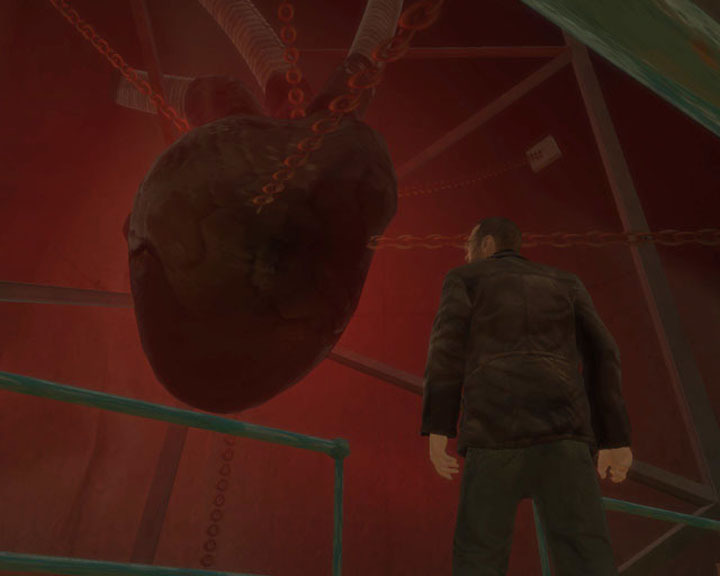 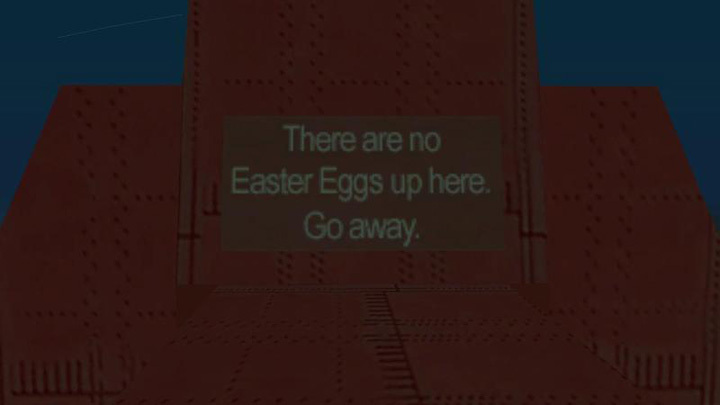 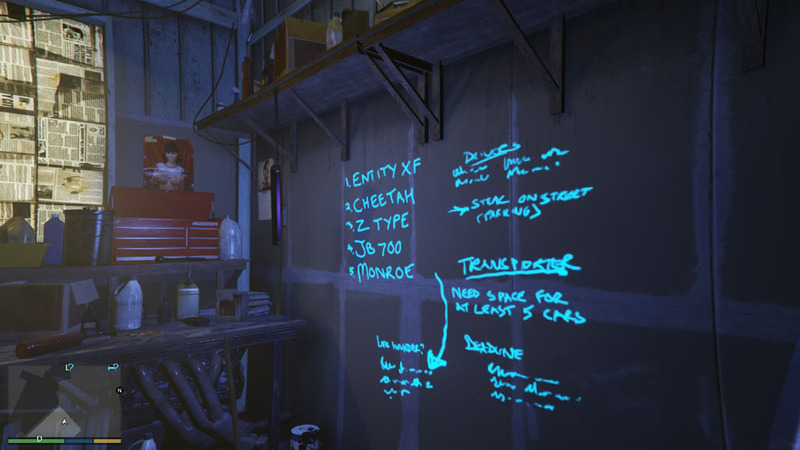 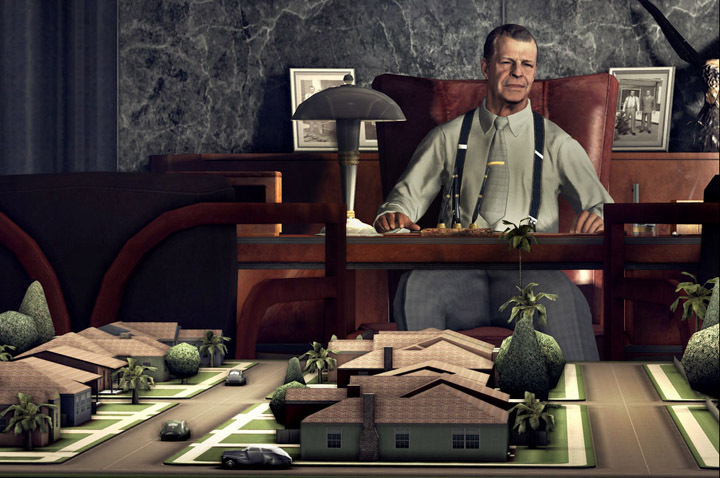 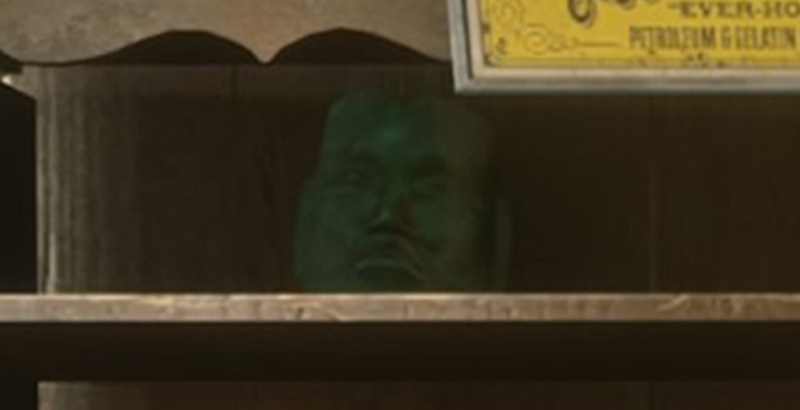 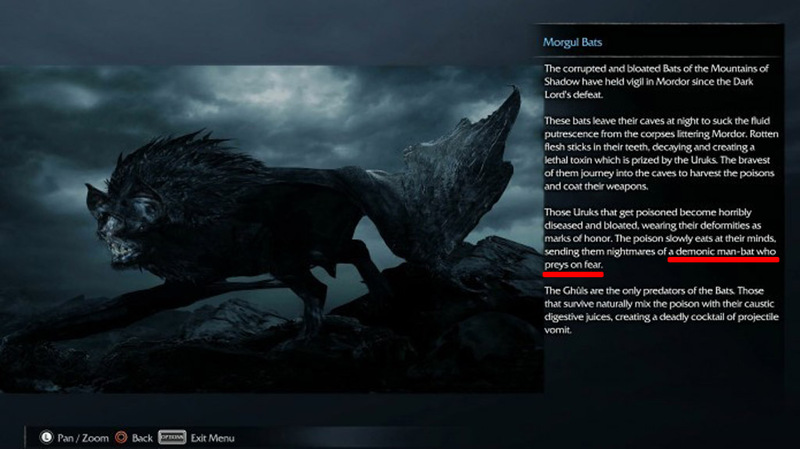 One of the families died in a fire set by an accomplice of Monroe and this sparked the investigation in L.A. Noire that eventually sent Monroe to prison at the age of 52/60 (depending on which version of the game you play). 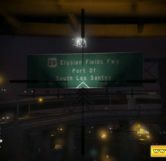 The Elysian Fields Freeway is now only a glimpse of what could have been if L.A.’s greatest detective wouldn’t have gotten in Monroes’ way.